MOM & ME CLASS - ages 1 to 3 - 45 minutes - $72/mo. This class will introduce your little one to a wide variety of movements, colors and shapes that will help develop their cognitive functions and motor skills (Psychomotor Development). Our activities will utilize several mats with diverse shapes, colors and densities, as well as bars, floor exercise, balance beam, mini-tramp, vault and trampoline. 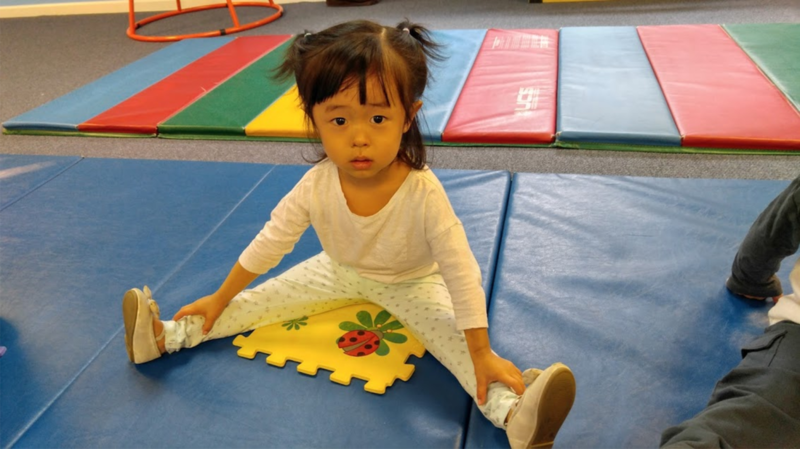 A sense of their body position in space, arms/legs coordination and gross motor skills, including log rolls, hanging, quadruped and biped locomotion, are part of the Royal Gymnastics curriculum for this age group.